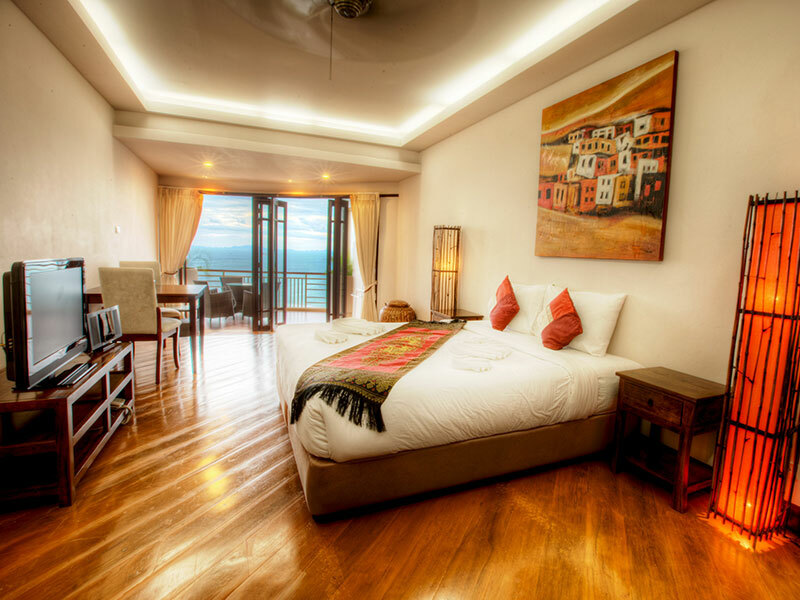 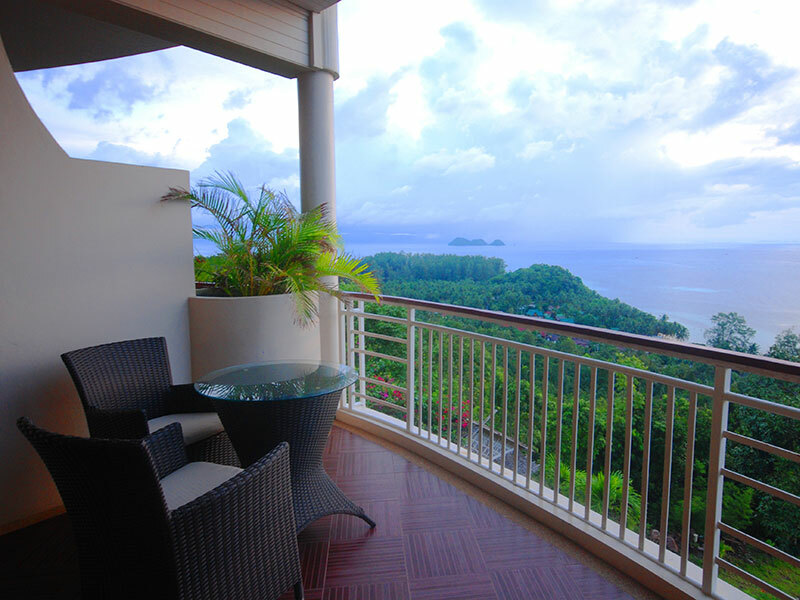 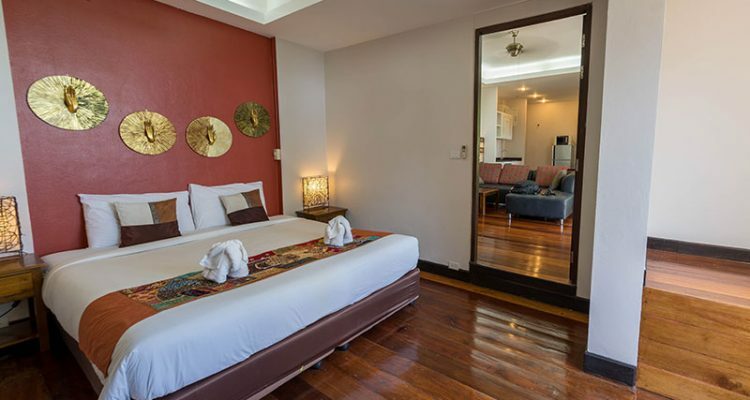 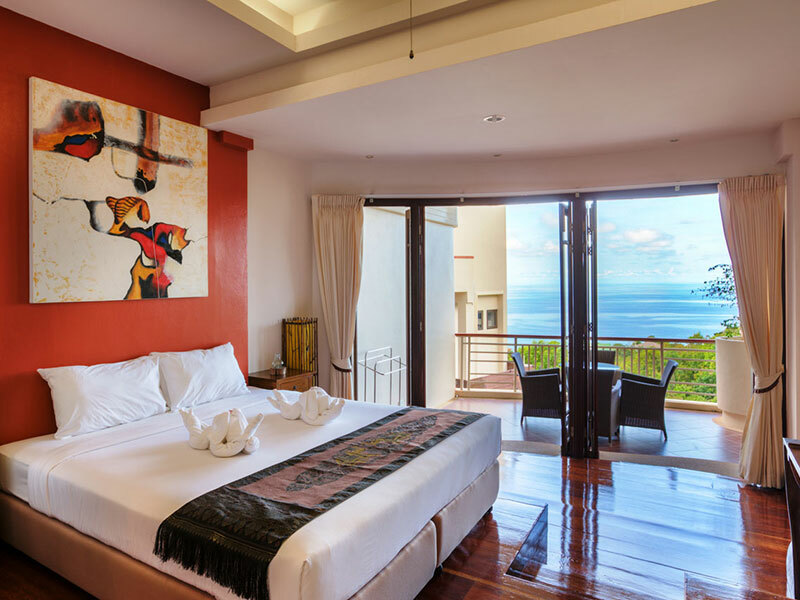 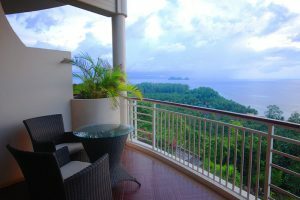 Our spacious (55 m2) Sea View Studio Suites are located in Sunset Hill’s Jasmine, Orchid and Rose buildings. 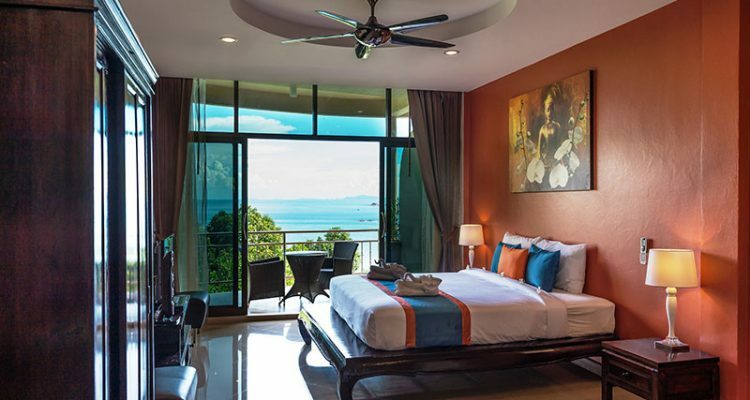 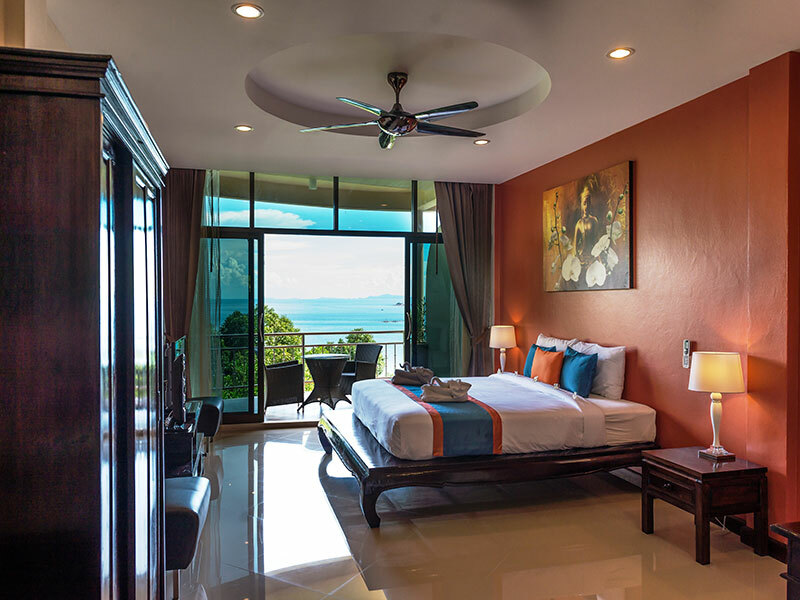 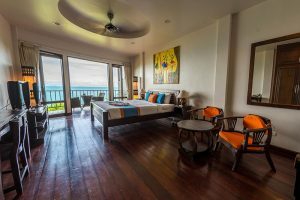 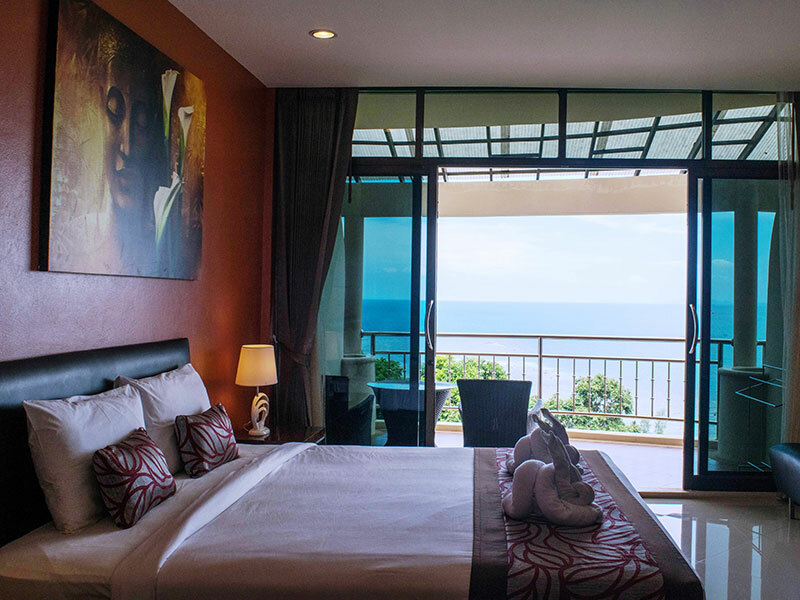 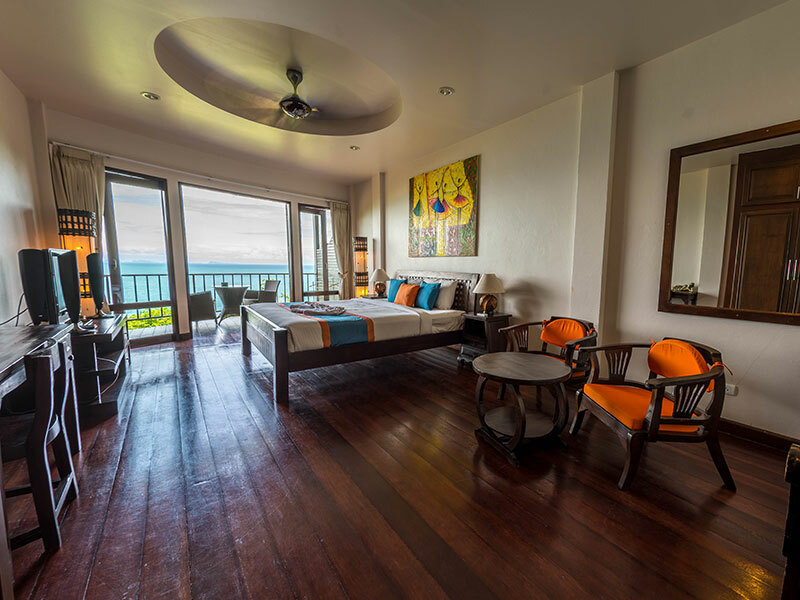 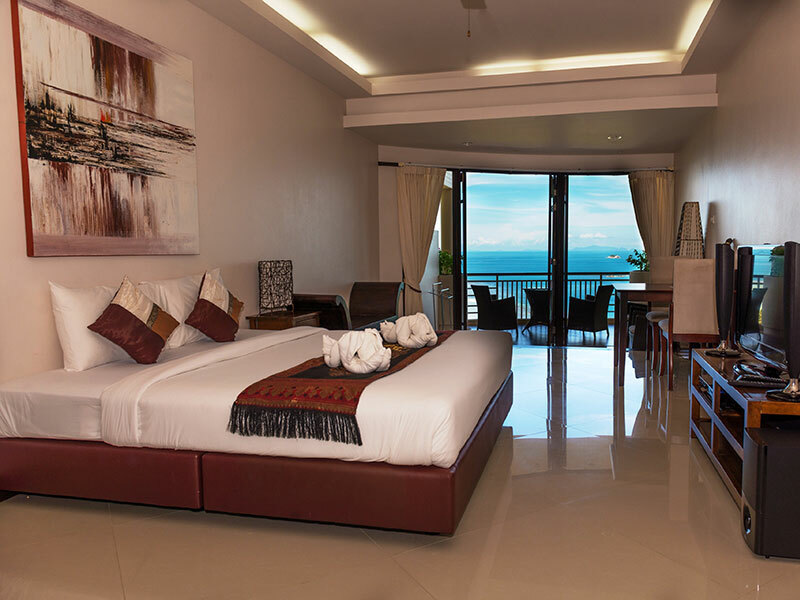 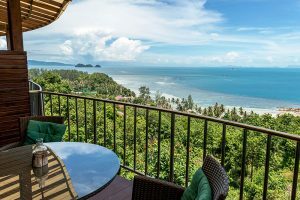 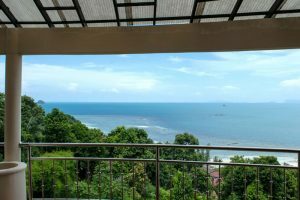 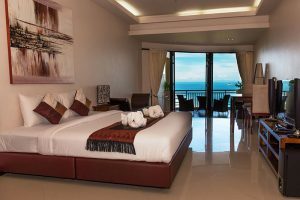 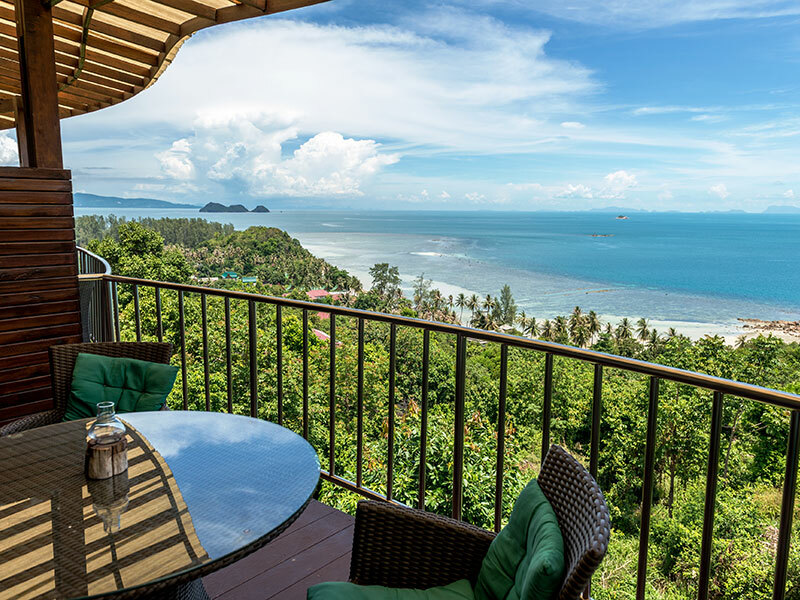 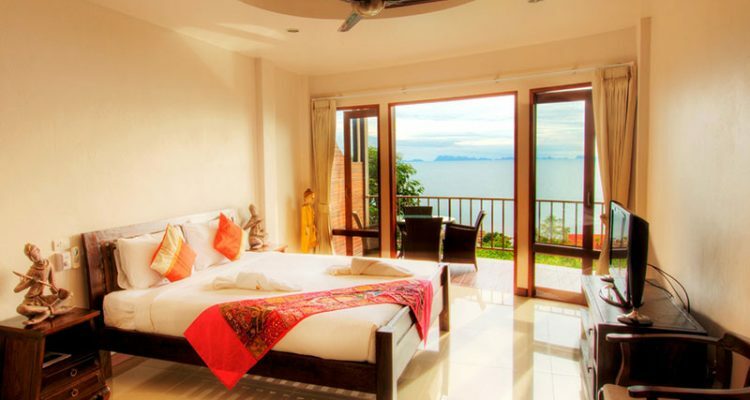 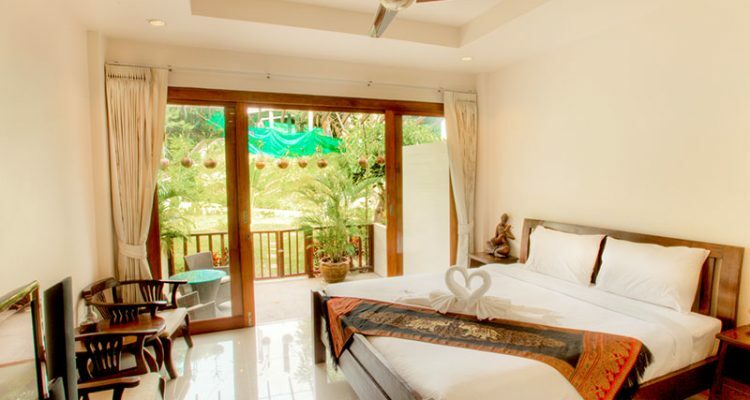 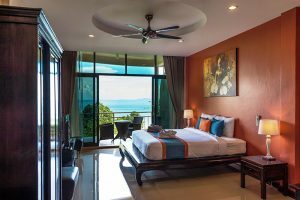 These studios are especially designed to have an optimal panoramic view over the Gulf of Thailand and the Marine Park, both from the large round terrace and from inside the room. 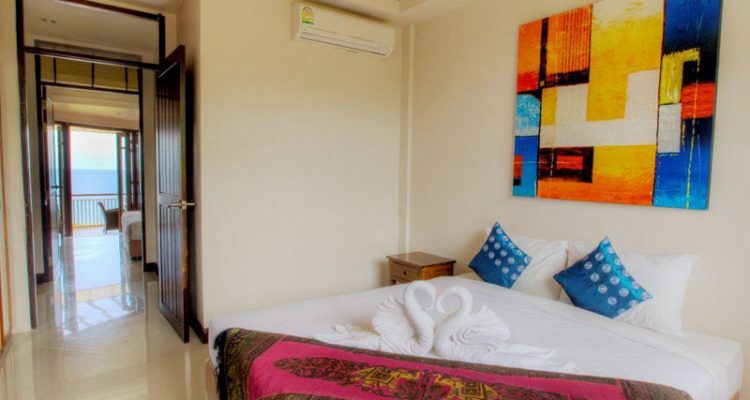 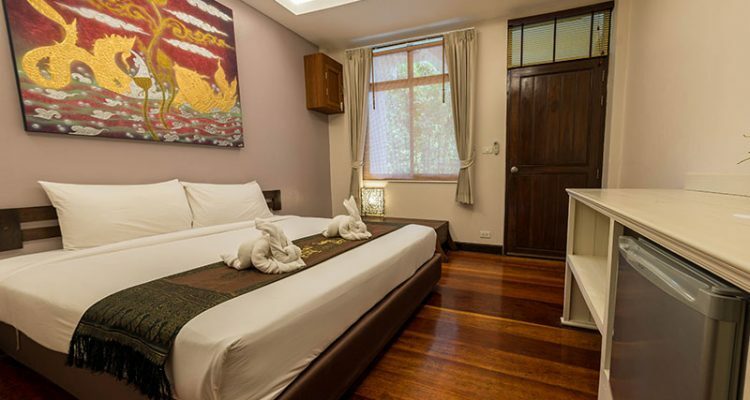 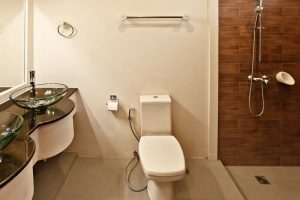 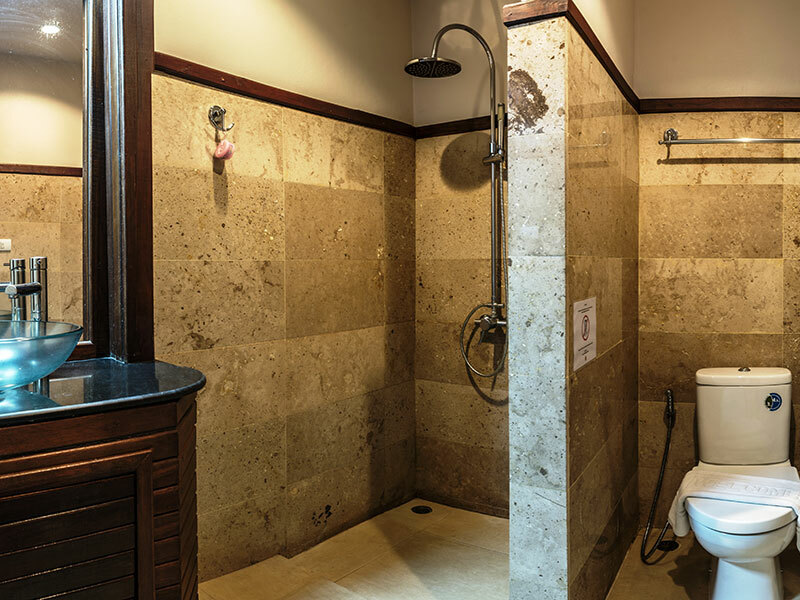 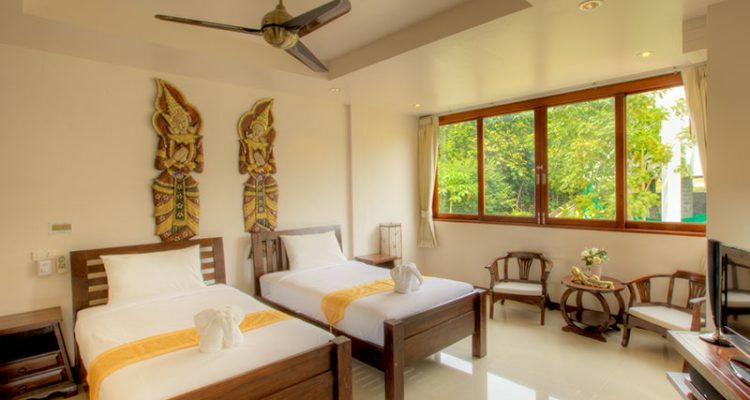 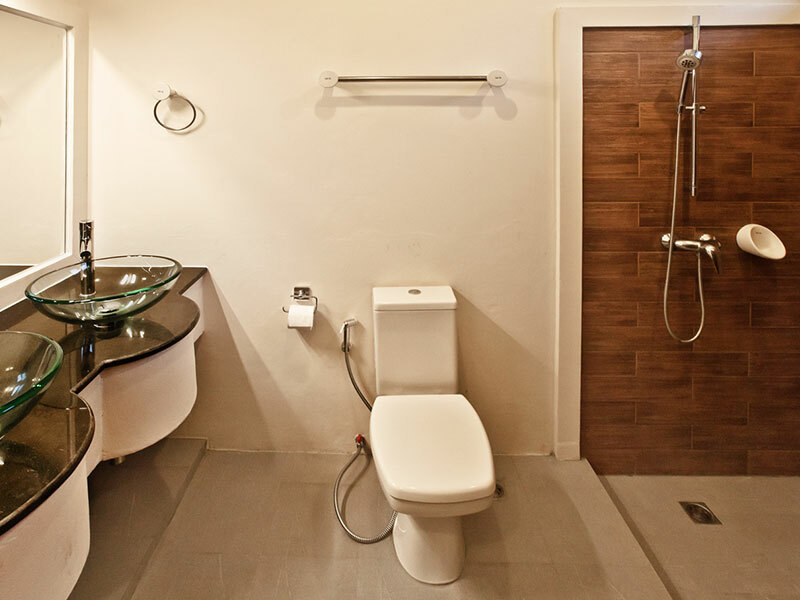 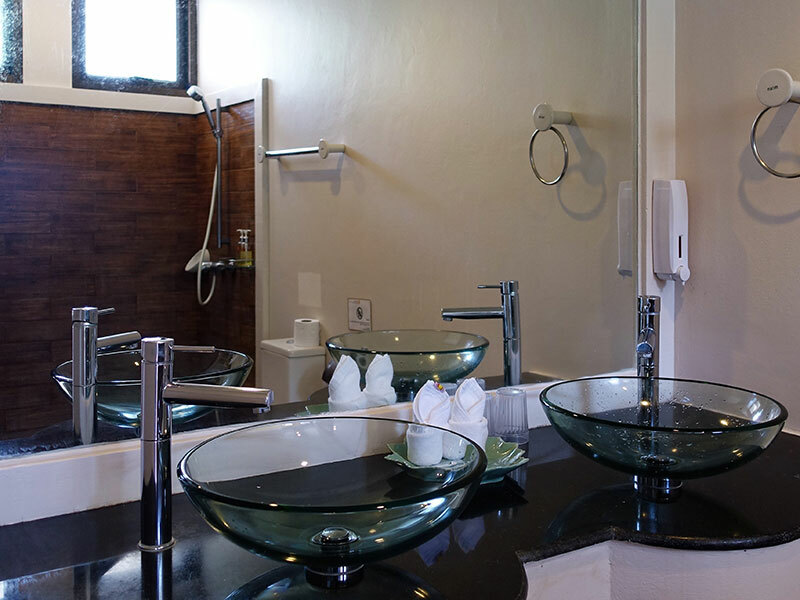 The rooms are equipped with a refrigerator and a beautiful large bathroom. 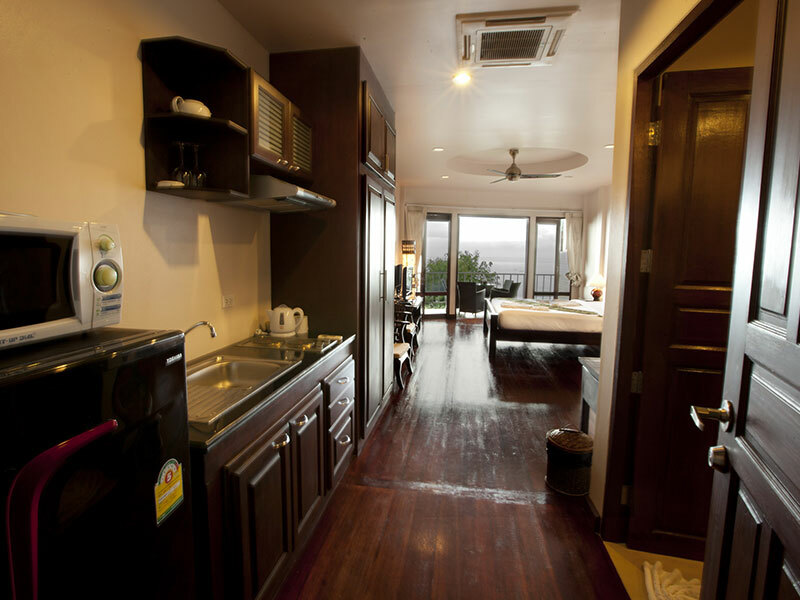 These studios also have a nice sitting area, a dressing table, a wardrobe and of course a high quality double bed. 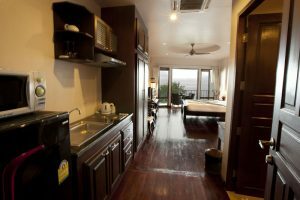 Each studio offers a large flat screen television with a DVD/Sound system and are equipped with both air conditioning and ceiling fan. 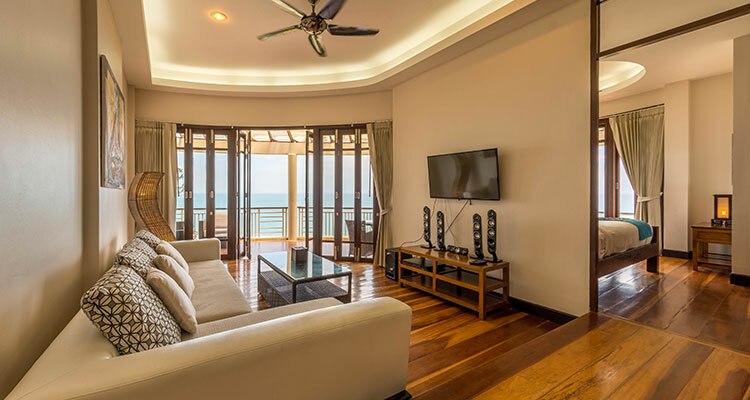 The unique terrace doors can be fully opened, which allows you to combine the large terrace with the living area. 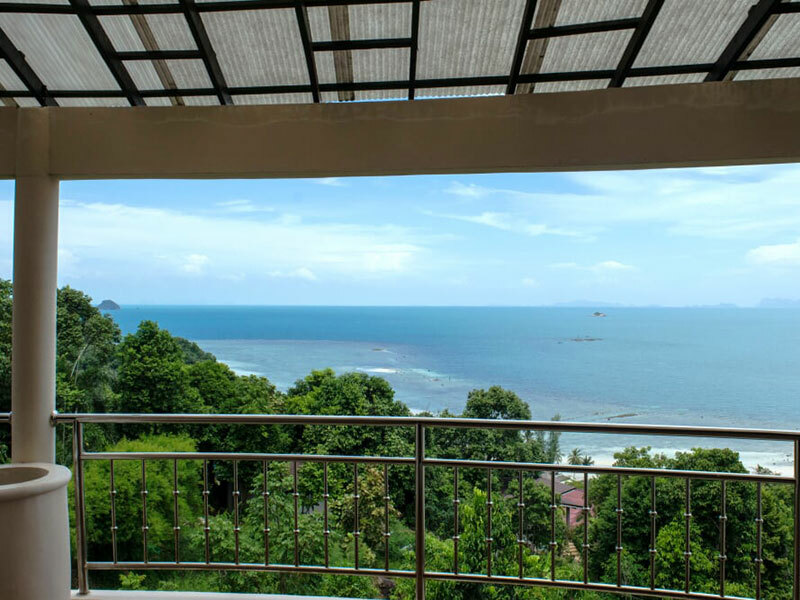 This way you can create the ultimate indoor-outdoor lifestyle and enjoy the enchanting sunsets from every corner of the apartment! 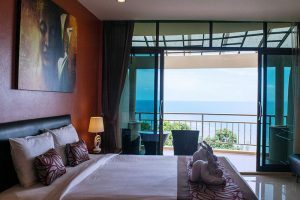 If you want a stylish holiday with sea view this is the studio for you. 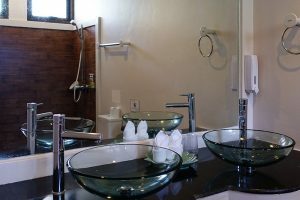 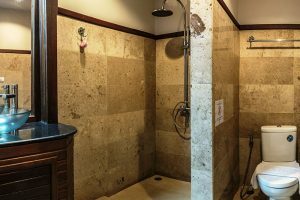 Notes: We have tile and wooden floor room options in this category and an extra bed or baby cot can be added on request.